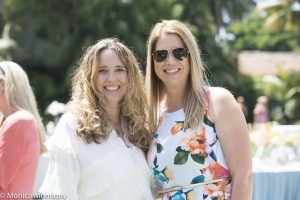 Angels Foster Care's annual Al Fresco — Angels by the Sea luncheon has been postponed due to the recent Thomas Fire and mudslides. The new date is Sept. 14 in the gardens at The Four Seasons Biltmore in Montecito. This year, the nonprofit will be honoring Meichelle Arntz, its founder and recently retired executive director, for her dedication, love and tireless efforts to ensure babies and toddlers in foster care are nurtured in safe, stable, and intensively supported homes. Angels Foster Care also will recognize and thank the Angels parents who work as first responders in our community. All proceeds from the event will go directly to support abused and neglected infants and toddlers, and their foster families in Santa Barbara County. Angels Foster Care families have cared for more than 230 young foster children since the program started in 2006.Angels Foster Care is a private, nonprofit Santa Barbara County Foster Family Agency that serves local foster children from birth to age three, and their siblings up to age five. Angels provides extensive training and support for resource/foster parents. Families interested foster providing foster care for an infant or toddler, or fostering then adopting, can visit www.angelsfostercare.org or call 884-0012.